Donations will go towards the upgrading of helmets, equipment, field costs, travel cost, technology updates and uniforms. Donations are vital for the success of this program. Donations will be used to cover the cost necessary to run a high school program. Donations will ensure that our athletes get the proper equipment to perform. "Good luck this season, Alex....we can't wait to see you play!! Much love, Uncle Scott, Aunt Lisa, Caity, Taylor, Ethan, Lauren & Adam "
"Good luck little Bro! Keep the Suds name alive!" "Keep working hard Garrett You can make it happen Dad"
"Jared, I'm always so proud of you and your brother!!! Good luck to you both!!!" "Ryan, I'm always so proud of you and your brother!!! Good luck to you both!!! " "Have a GREAT season Logan!!!!" "DO YOUR BEST IN ALL YOU DO. CHEERS TO A GREAT YEAR!" "Here's to a great season! Go Marcus!" "Good Luck to you and your football team. Let Aunt Mary know how your team is doing. I am a big football fan of our local Muskegon Big Reds who have the winningest football program in the State of Michigan. " "STAY SAFE AND WIN! HOPE TO SEE YOU PLAY! ASK COACH STANFORD IF HE HAS RELATIVES FROM SOUTH GEORGIA IE CUBERT,GA? HE HAS MY MOTHERS MAIDEN NAME AND THEIR ARE MANY RELATIVES IN DALLAS /FT WORTH AREA?" "I hope y'all have a wicked awesome season, Go Marauders!" "Good Luck for a great season!!" "I know you are going to have a fantastic Senior Year... I love you!!!" "Have a great season and WIN State!!!" "Barbara Simpson Kelly (Nana) loves you and I pray for a good football season. Study hard in class and be a good team player. " "George Gardner (Paw Paw) loves you and I am proud of you! Be safe, maintain your grades, be a team player, continue to be respectful, and continue to pray. " "Granny Eula Loves you and I am proud of you! Keep your hand in the Lord's hand. " "Supporting the Marcus Football team and my nephew Michael Henry." 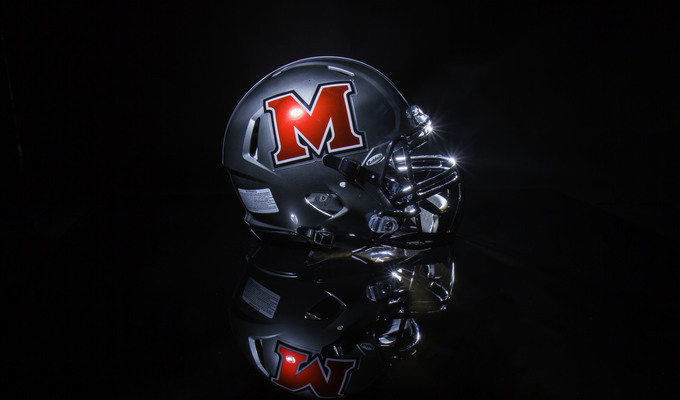 "Good Luck to my brother Mason Simon and the rest of Marcus HS Football this year! " 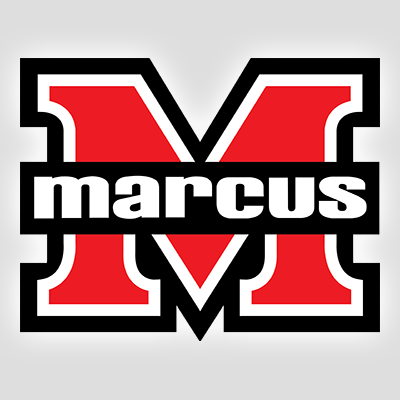 "God bless all the athletes at Marcus HS 9th grade 2016 (Class of 2020!). Praying for safety and leadership! Dr. Traci Petteway (Kendall's Mom) & Hope Inc. Christian Counseling"
"Good Luck, I was so impressed by the program maturity and emphasis on the kids safety and character building efforts, I was so proud of leaving in a place where my son is able to take this type of opportunities." "GO JOHNMARK....from Grammy & kitties and puppy"
"Have a great football season Blake! xo "
"Good Luck we love you"
"Hope you have a great season Dylan! " "Good Luck Jake! Love & Miss you!" "Jacob Minick - Hope you have a successful Freshman year as a Marcus Marauder! Grammie & Papa"
"Good Luck this year! Looking forward to a great Sophmore year!" "Good Luck Jacob! Sending much love from your family down south. We hope to see you play soon, and we know you will reach ALL your goals! " "Good luck Jacob! Can't wait to see you play!" "Good luck, Jack! We are routing for you guys!" "Go get Deven.. Can't wait to see what you accomplish this year on and off the field!! " "Miguel Campo good luck with your dream!" "Good luck Garrett! Have a great season!" "Good luck and have a great senior year "
"Good Luck with your fundraising as well as for your upcoming season.........and have fun! AND......be careful! " "Good Luck Zach! May your team have much success in the 2016-2017 school year." "Have a great season, Hawkens!!! " "From Peepaw, Meemaw and Eric. We are so Proud of you Payton. We love you!" "Proud of you Payton Estes!" "Have a good season Bowlin 2.0. Play 110% on every snap. It is the only way to truly enjoy the game!" "Good luck reaching your donation goal! I am very proud of you!" "Lot's of luck this season and love from us both! GP George and Joan"
"Have a great season Brayden! " "Good luck Zayne Wickenhauser ❤️U"
"Good Luck Michael Bonner! Have a great season"
"Hope you have a great season Josh, love, Aunt Sue"
"Have a great season Collin Kendrick! Papa and Grammy"
"Good Kendall hope you reach your goal. Nana"
"Good luck, Gage! You've got this." "Good luck this season, Luke McBride #70 !! BE RED!" "Good luck my sons!! " "Have a great year, Michael!" "Supporting my nephew and godson Collin!" "Hope you reach your goal!"